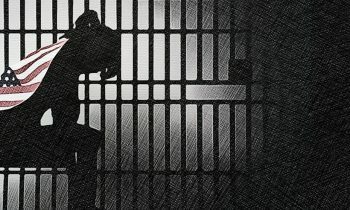 Responding to Reality Winner’s mom calling for help, supporters drove to Augusta for the Feb 27 pre-trial hearing from as far away as New York state. 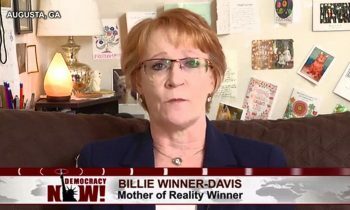 Amy Goodman’s in-depth interview with Reality Winner’s mother on Democracy Now! 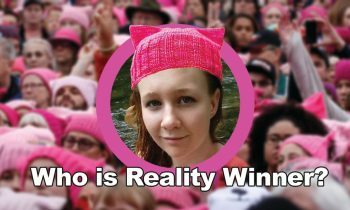 Focused Volunteer Opportunities to Free Reality Winner! Many hands make light work. 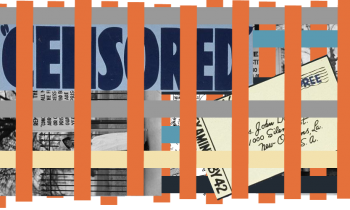 Each of these volunteer tasks can be accomplished with a small time commitment on your part. 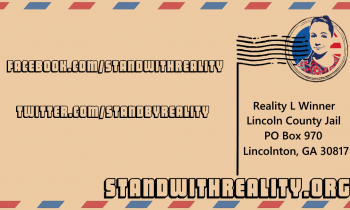 Join us to #FreeRealityWinner! 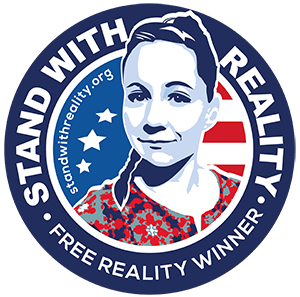 A young woman named Reality Leigh Winner has been jailed without bail since June 2017 for helping expose Russian hacking that targeted US election systems.